At True Value we love a great BBQ and we’re here to supply the tools you need to become the envy of the neighborhood. 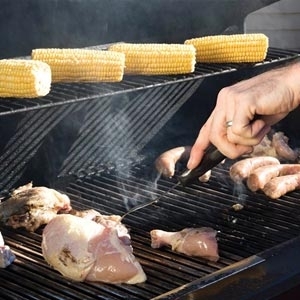 We offer charcoal, electric, gas, and infrared grills as well as smokers, and portable grill options so that you can find the right grill for your preferences. Not only do we have the grill you’ve always dreamed of, but we also have all the components you need for a successful cook out. At True Value you’ll find propane tanks, seasonings, grill cleaners, grill covers, grilling tools and charcoal. Whether you are an expert grill King or Queen or planning for your first cookout, stop in to True Value to make your event a success.